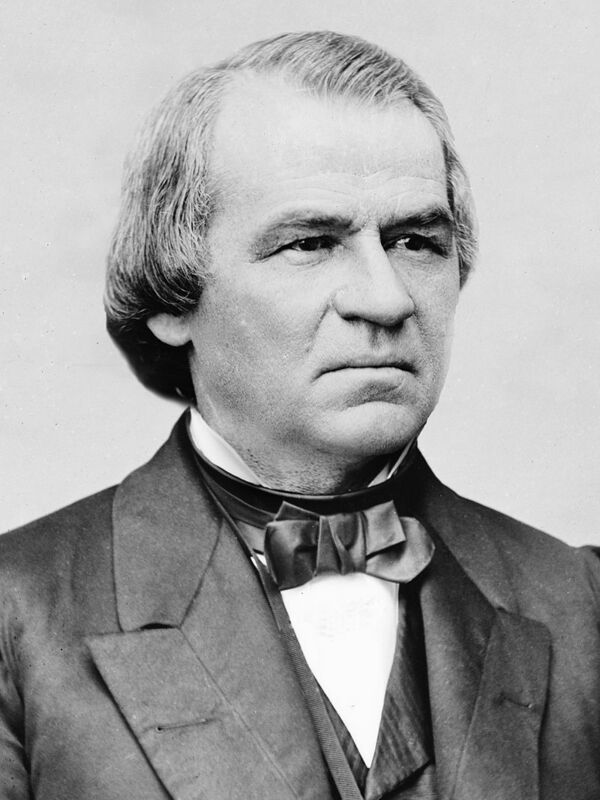 On December 29, 1808, Andrew Johnson, the seventeenth president of the United States, was born in Raleigh. Record of Johnson’s early life is anecdotal at best, as the poverty his family endured inevitably meant that there are few written records of their lives, though it is known that he apprenticed under a local tailor. During that apprenticeship he learned both the tailoring trade and basic reading and writing skills. Johnson moved to Tennessee in 1826, where he prospered as a tailor and, later, as a politician. Styling himself an advocate for the common man, Johnson was elected to the Tennessee legislature in 1835, and served there for several years. After representing an east Tennessee district in in Congress for five consecutive terms and serving as governor of Tennessee for two terms, he went to the U.S. Senate in 1853. Abraham Lincoln appointed Johnson military governor of Tennessee in 1862, and Johnson was later named Lincoln’s running mate in the successful 1864 re-election. Lincoln’s April1865 assassination raised Johnson to the Presidency. Johnson’s tenure in the nation’s top job was largely a tumultuous one, as the country was striving toward reunification after the Civil War. Johnson finished out what would’ve been Lincoln’s second term, and did not receive the Republican nomination to run for another term in 1868. He returned to Tennessee and died in 1875. The small loft in which Johnson was supposedly born was situated near Casso’s Inn a half-block from the State Capitol in Raleigh. It since has been reconstructed and relocated to Mordecai Historic Park.